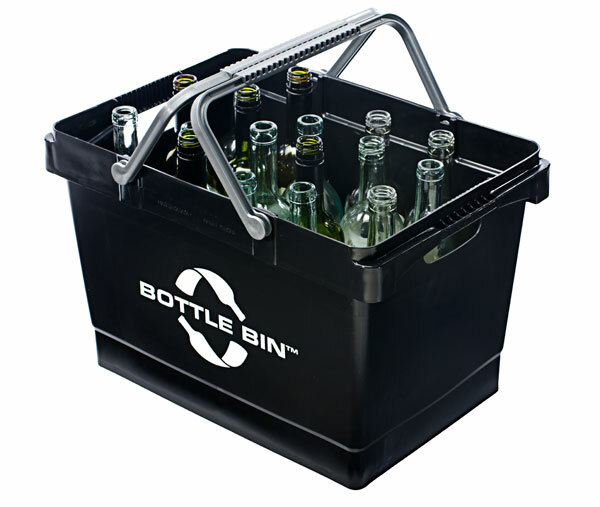 Bottle Bin™ is a reusable container designed to help you store, organize and transport your empty wine, liquor and beer bottles with ease. 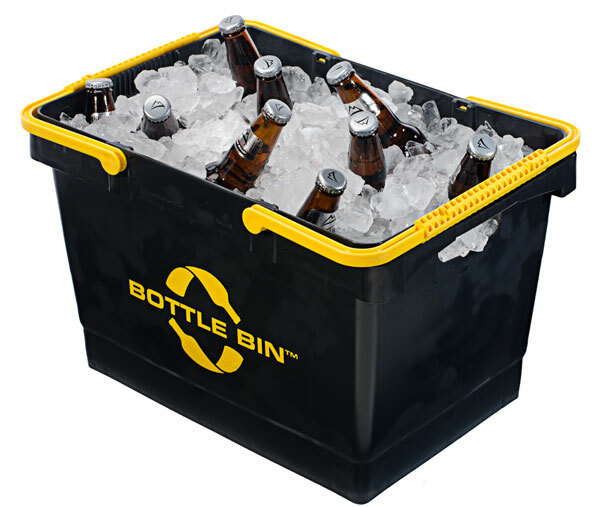 Keep your Bottle Bin™ anywhere – the closet, kitchen, laundry room, basement, or garage. 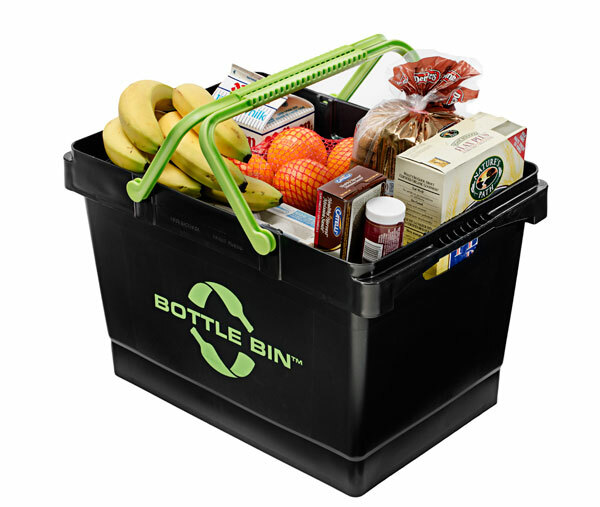 Bottle Bin™'s size and shape make it a perfect fit for any area of the home, offering you the convenience and flexibility you need to easily recycle your glass bottles. 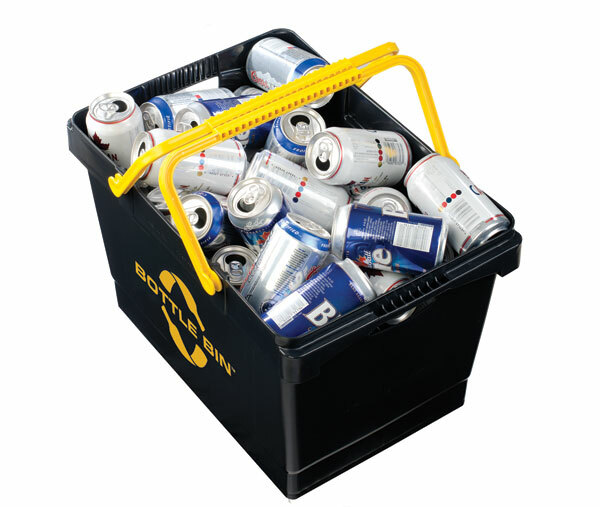 Once your bin is full, simply return your empty bottles to the closest depot and claim your refund. 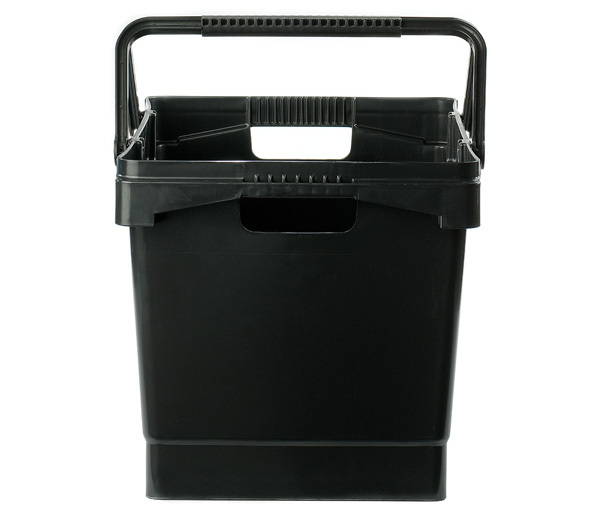 Bottle Bin™ boasts durable handles that have an extra-strength ribbed feature for support. 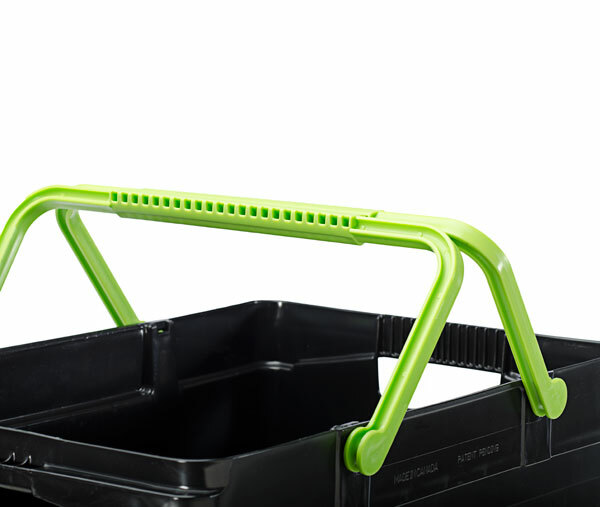 The bottom of the bin is ribbed and reinforced, making Bottle Bin™ capable of safely carrying even the heaviest of loads. 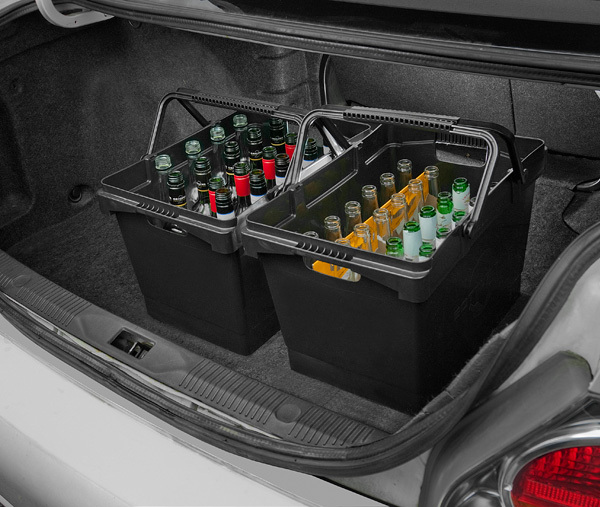 Bottle Bin™ fits up to 18 standard wine or spirit bottles, 48 standard beer bottles, or a combination of the two. 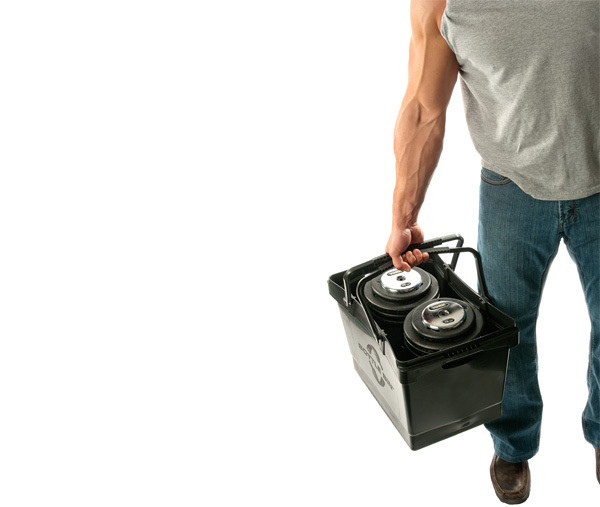 Its large storage capacity minimizes your trips and maximizes your refund at every visit. 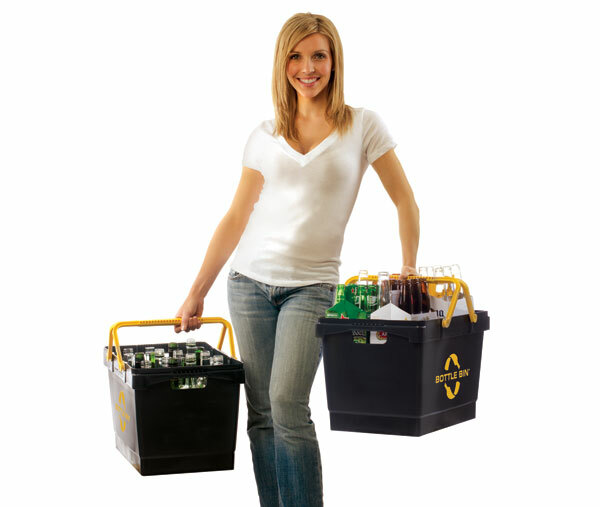 Bottle Bin™ has handles which can be locked into place when you want to carry your bin with one hand. 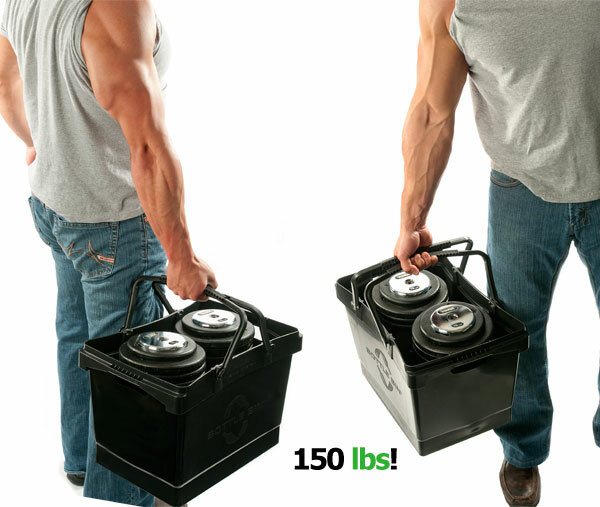 If you have heavier loads, simply use the embodied handles for greater support. 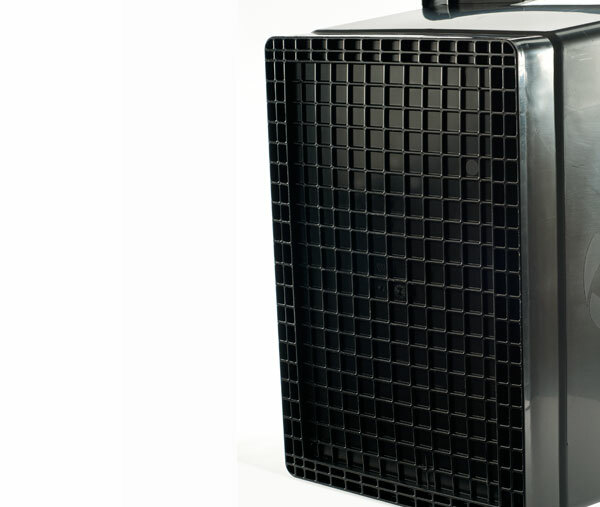 Bottle Bin™ is specifically designed to protect your glass bottles from damage and avoid potential leakage during storage and return. 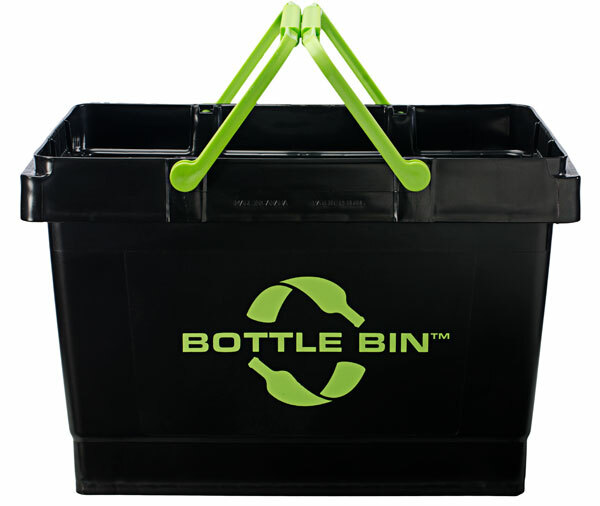 Bottle Bin™ is made of 100% recycled materials. 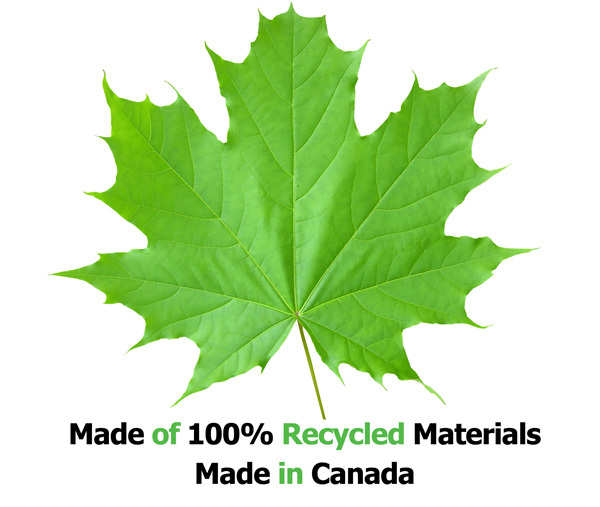 Manufactured in Canada, Bottle Bin™ not only helps you recycle your glass bottles, but it too is made of fully recycled materials that are durable enough for you to use over and over. Designated locations across Canada accept glass bottle returns and refund consumers anywhere from 5¢ – 25¢ cents per bottle.